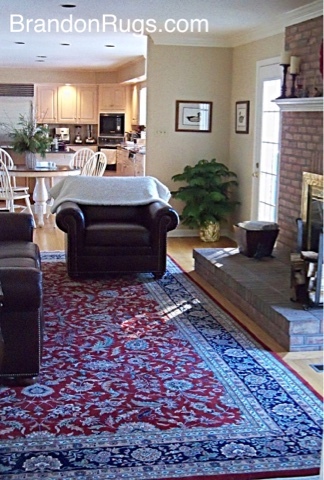 Several years ago, our customer in Richboro, PA purchased the rug seen on the left side in the ad. She recently invited us to clean the rug, which we declined to do because it looked as good as new when we went to pick it up, and didn't need to be washed yet. 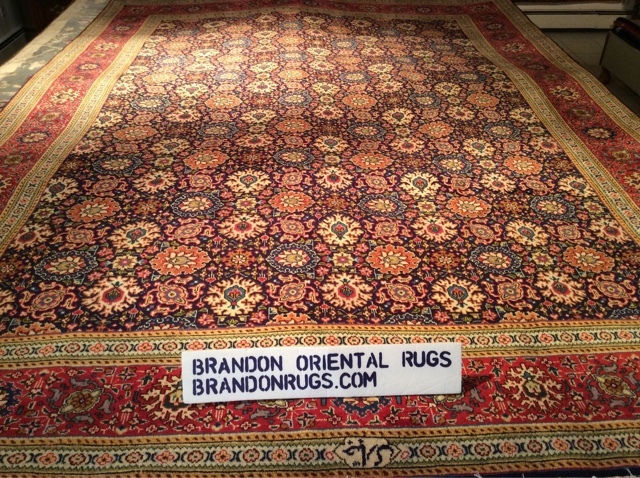 At that time she told us about her next door neighbors who purchased a low quality tufted rug from another rug dealer at the same time she bought her rug from Brandon Oriental Rugs. She related that the neighbors had just thrown their rug in the trash. It had worn badly, and they had also discovered it could not be cleaned easily. 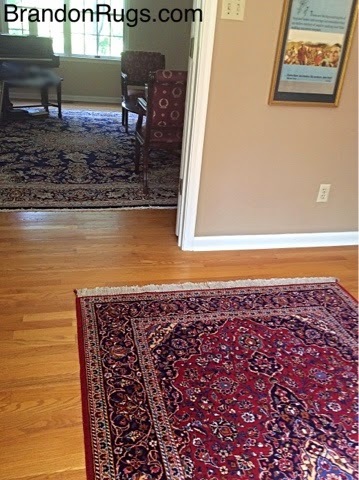 She told us the neighbors expressed regrets to her about not having spent a little extra to get a real hand-knotted rug like hers. She added that she was proud to admit she had no regrets about her own decision. When you're making a significant purchase of fine furnishings for your home, you expect your acquisition(s) to possess qualities of durability and permanence. Ability to survive day-to-day use in your home matters. And your expectations will be realized when you make quality decisions. Avoid impulse purchases; especially those motivated solely by (usually misleading) offers of BIG savings at some "SALE" event. Buy what you really want when you're comfortable about what you are getting; not in response to high-pressure, limited-time offers, and "now-or-never" SALE tactics. Remember that poorly made products still are not being given away for free; and can have long-term costs much greater in reality than better quality goods. Consider too the wisdom forged from the experience of countless shoppers that, "good things are seldom cheap, and cheap things are seldom good" and "too good to be true seldom is." Don't make the mistake of "shopping for a price". You'll likely wind up with an inferior product; or be directed down a narrow path of options that prevents you from discovering the best possible solution to your need. REAL savings ARE realized when you take the time to do comparative studies based on quality. Choose the the right quality required for your specific applications and tastes. Then hunt for the best price you can find for that quality. 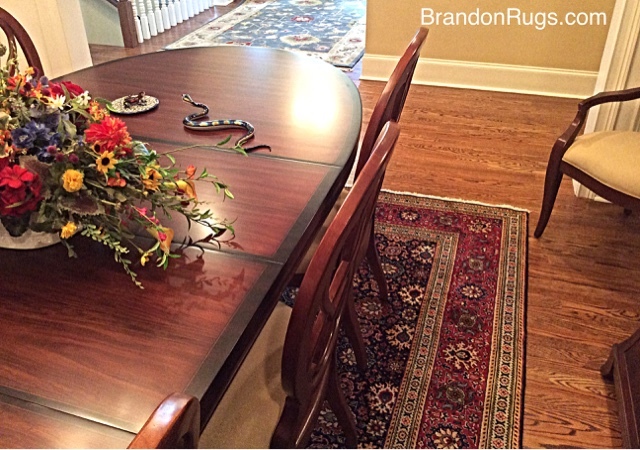 Customers of Bucks County rug store, Brandon Oriental Rugs, recently completed a collection of fine handmade rugs for the first floor living areas of their home in the Lower Saucon Valley area of Bethlehem, PA. The images below show how, over the course of five years, they worked room to room, and added organically to the collection. 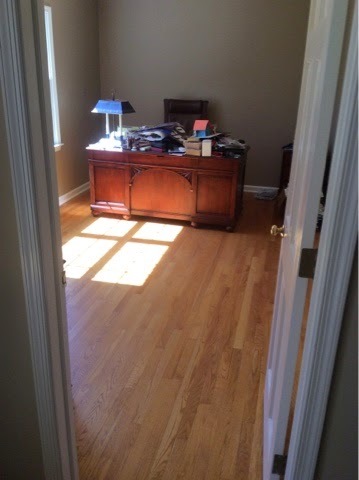 Our customers home office (shown above before the rug selection process began) is the last room in the home for which they had need of an oriental rug. 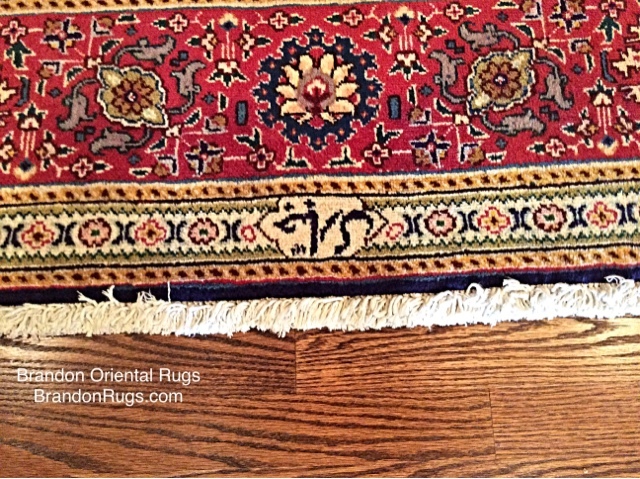 Next in the selection/collection process was the entry hall rug, a red/navy Persian Bidjar design made in India. This rug was also a lucky find regarding size. At 6x8 (instead of the standard 5x8 or 6x9) it centers on the front door entrance and fills the space between door and antique desk nicely. 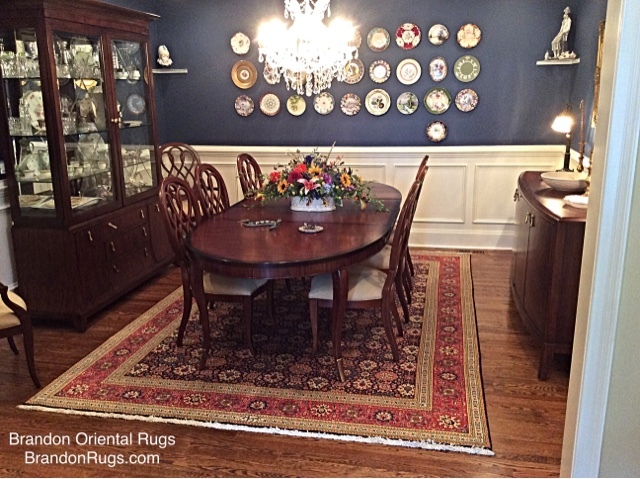 The dining room rug, a sapphire blue backkground 10x13 Persian Kashan design handmade in Iran, is beautifully designed to direct the eye around the table in the room; and properly sized to allow all chairs to be atop the rug when guests are seated at the table. 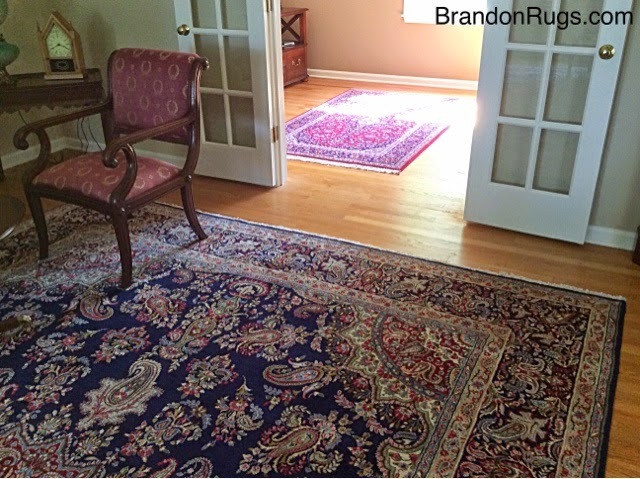 While the first three rugs were chosen as finishing touches in their respective rooms, the living room rug was chosen as a first step in the redecorating of the room. Chosen as a beautiful complement to the dining room rug across the home's center entry hall, it has a multitude of colors to anchor the homeowner's art collection, and the additional furnishings that will be installed in the room. 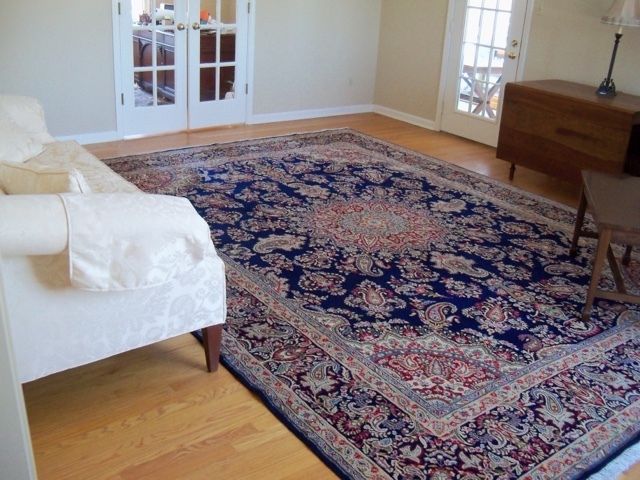 The rug chosen for the living room is a 10x14 Persian Kerman made in Iran. 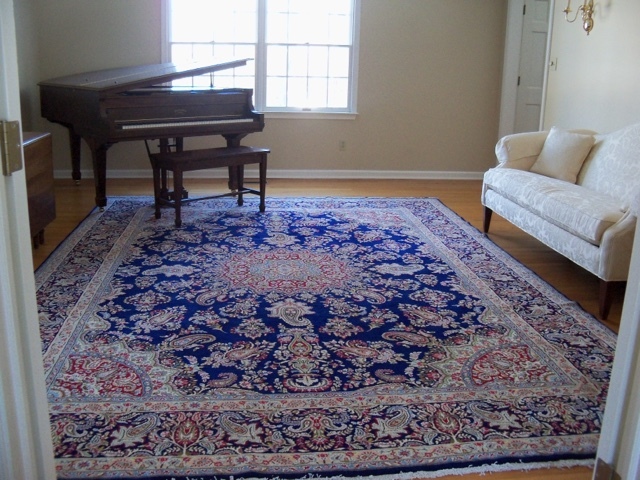 The last rug chosen (which completes the circle of rugs on the first floor of the Lower Saucon Township home) is a 5x7 Persian "Gul" Kashan made in Iran picked for the home office. This piece was also selected early in the design process of the room to provide the needed link to complement the adjacent rugs. It also provides the palette of colors for decisions about paint and fabrics for the room's completion. 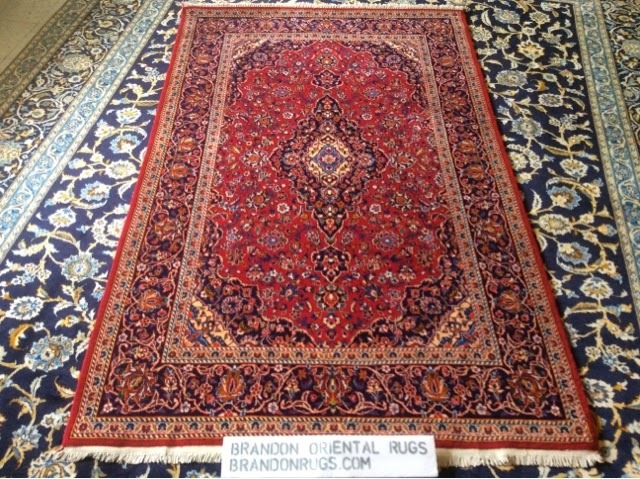 Brandon Oriental Rugs is honored by the confidence our customers showed in us throughout the long process, the many steps and the years it took to complete their fine quality rug collection and the furnishing of their home. They could have looked elsewhere at any stage in the process, but always returned to us for their rugs. Hopefully that conveys a lot about the relative value of our services. 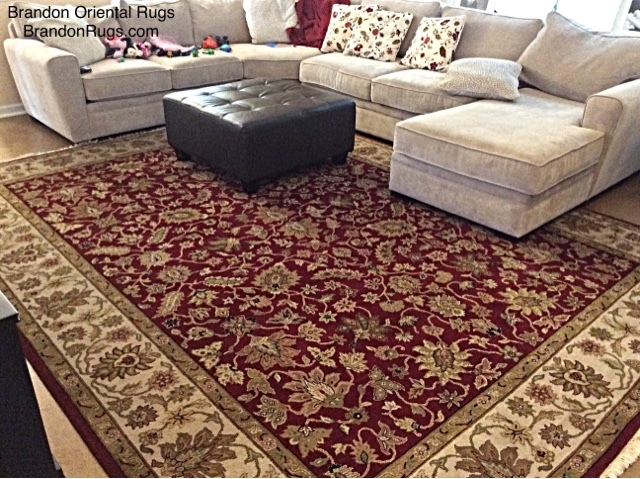 Our customer's are justifiably proud of their acquisitions and accomplishments; and will enjoy their rug selections for many years into the future because of the quality choices they made at every step. The rug selected from Brandon Oriental Rugs is an 8-2X11-1 Persian Tabriz made in Iran. Our customer had first seen the rug seven months ago, fallen in love with it, and asked us to please hold it for her pending completion of work she was completing. 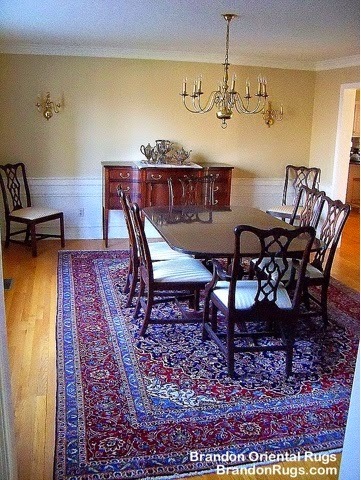 (BrandonRugs.com) Lower Gwynedd Township, PA homeowner selects hand-knotted Persian Tabriz oriental rug from Bucks County rug store Brandon Oriental Rugs (www.BrandonRugs.com) to complete her formal dining room. 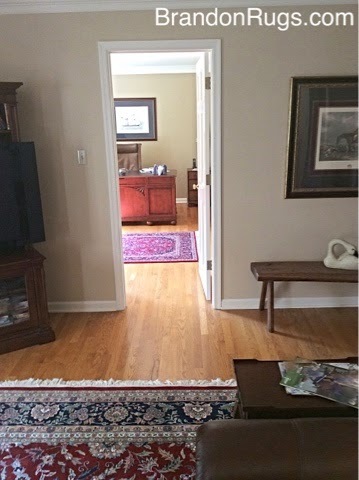 Looking into the completed dining room (above) and from within the room toward the entry hall (below). The hall is distinguished by a rug selected from Brandon last year. Handmade rug-making is largely an anonymous art-form; but pieces considered noteworthy by the artisans who created them; and the product from workshops with reputations for outstanding craftsmanship are distinguished by a signature or trademark woven into the rug in the finishing rows of weaving. 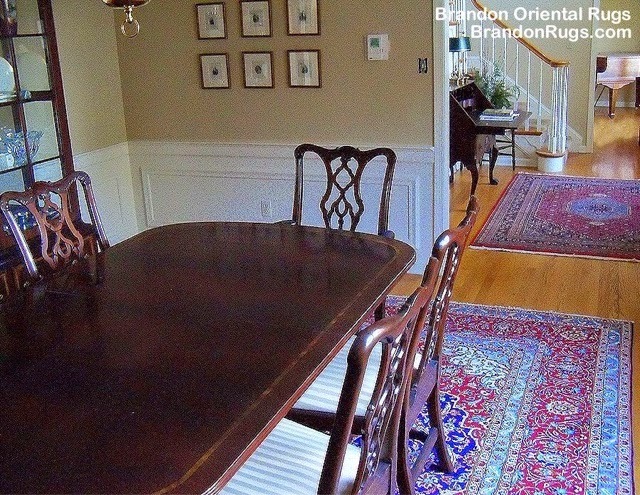 The hand-knotted oriental rug seen in the picture was chosen by customers of Brandon Oriental Rugs (www.BrandonRugs.com) to complete the furnishing of the family room of their new home in Doylestown Township, Pennsylvania. The rug they selected to fill the open floor between their sectional sofa and entertainment console is a 9x12 India Agra design. It is made with vegetal dyed premium grade wool pile; and beautifully detailed with 100 hand-tied knots per square inch construction. This rug at the heart of their home promises to be a durable witness to all of their growing family's activities in the years ahead. 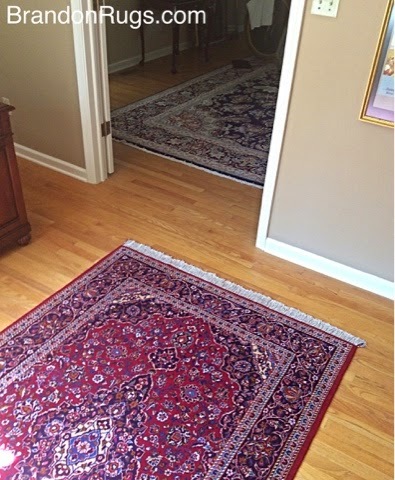 It is no insignificant place; and the choice of such a well-made, beautiful oriental rug is testimony to how important it is to the young homeowners.